TP Mechanical Contractors will be holding informative Open Enrollment Benefit Meetings to provide important information about our benefit programs. During this time, we will be offering flu shots to all employees and their spouses. Please be sure to bring your current medical card. The meeting schedule is listed below. Open enrollment will run from October 2, 2017 through October 13, 2017. If you elected not to participate in any or all benefit plans during your initial eligibility period or if you have changes that you need to make to your current benefits, you may enroll or make those changes during this open enrollment period. We are having a passive enrollment This means if you don’t want to make any changes, you don’t need to do anything. FSA contributions DO NOT roll-over so you will need to re-elect the contribution you want for this upcoming year. Any questions you have about open enrollment or the company’s benefits, please contact Jen Madden at (513) 851-8881 x1244 or jen.madden@tpmechanical.com. Congratulations estimating and sales for securing work totaling $3,778,856 and total man hours of 17,674 for the months of August. Like or Share and You Could Win! TP Mechanical has been building its presence on social media over the past few years. Our social media sites can be accessed from our website, where you can find up-to-date information about our company or even what in going on in the industry. Please follow us on your favorite social media site. 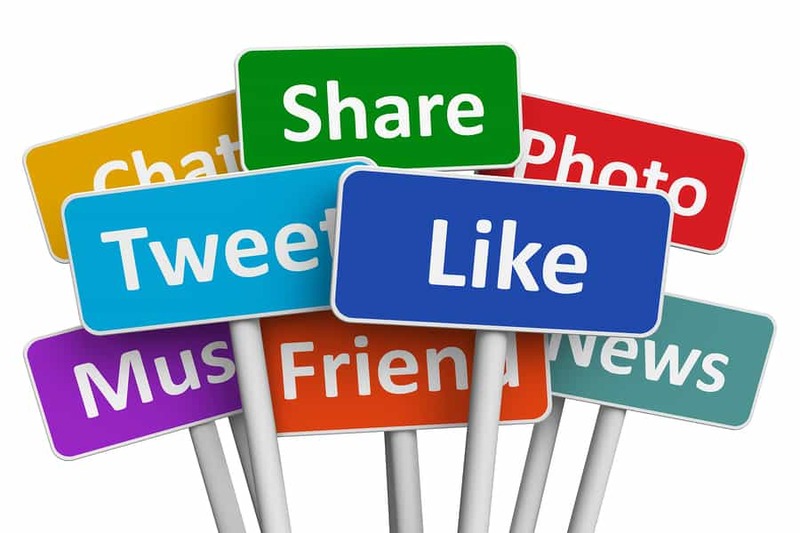 Over the next few months we will hold one contest a month; by “Liking” or “Sharing” a post your name will be put into a drawing to win a gift from the marketing closet. Contest starting October 1, 2017 ending December 22, 2017. Thank you to everyone who took the time to participate in the newsletter survey over the past month. Email was the unanimous winner. Prizes winners will be contacted this week. Ticket sales for our upcoming Monte Carlo are now on sale. To purchase your tickets please click here to complete the order form. Once your order form is completed, Tara Teepe will email over an invoice with your payment options. 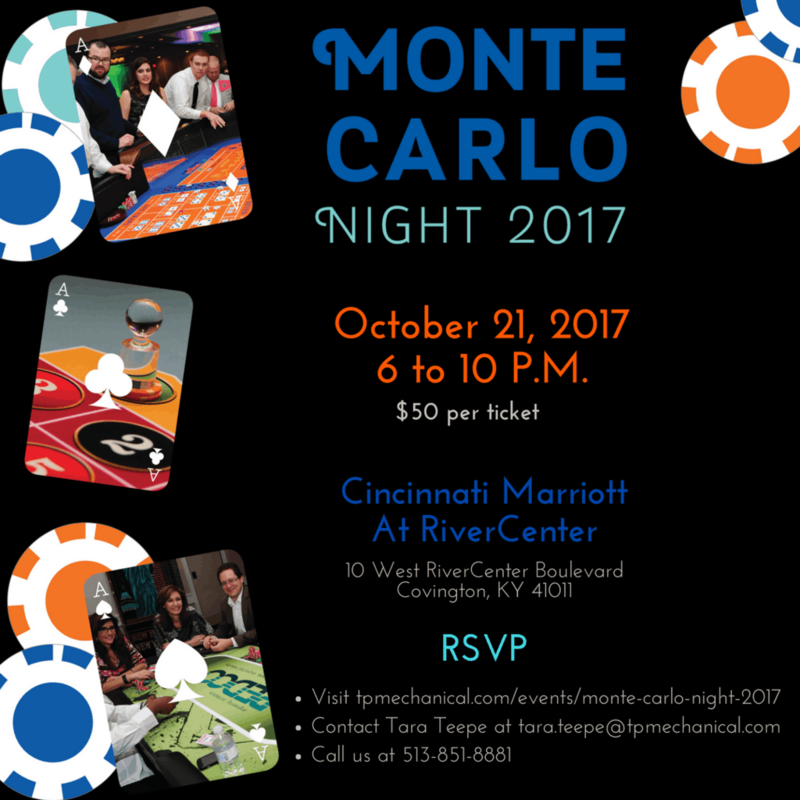 If you have questions about our fundraising event please contact Tara either by email tara.teepe@tpmechanical.com or directly 513-898-8908. Evening proceeds will benefit A Kid Again, who gives families with a child experiencing a life-threatening illness the chance to have fun and feel hope. The Ohio charity offers adventures and practical support to help family members cope with the uncertainty during the most difficult time of their lives.